1. 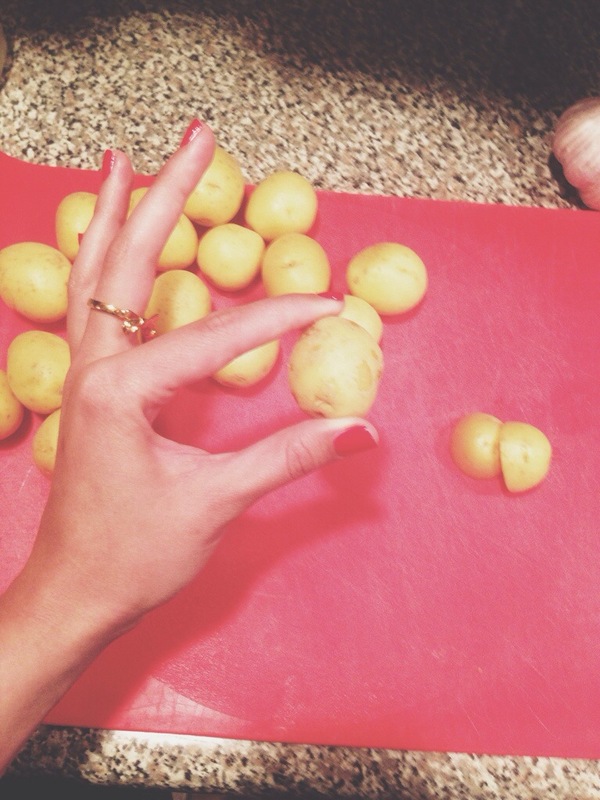 I think I would want to cut the potatoes a little smaller. I think even slicing them super thin would be great. 2. It was hard to tell if the chicken thighs were fully cooked. I ended up doing them on a pan instead of the grill. 3. 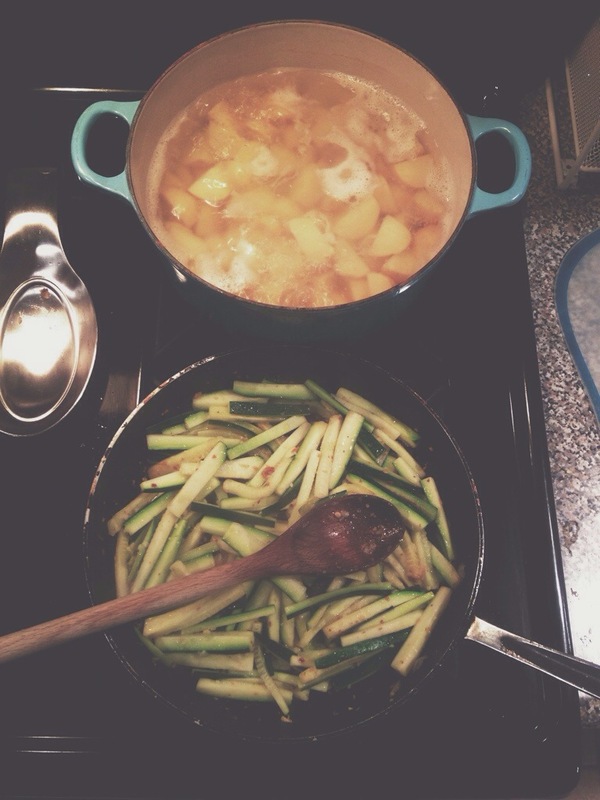 I would roast the zucchini instead of pan frying them. For the zucchini: I made it up. I sliced the zucchini into skinny small pieces, marinated in olive oil, garlic, and pepper flakes. Pan fried for a few minutes until zucchini was soft. The potatoes cook in vinegar. It’s amazing. 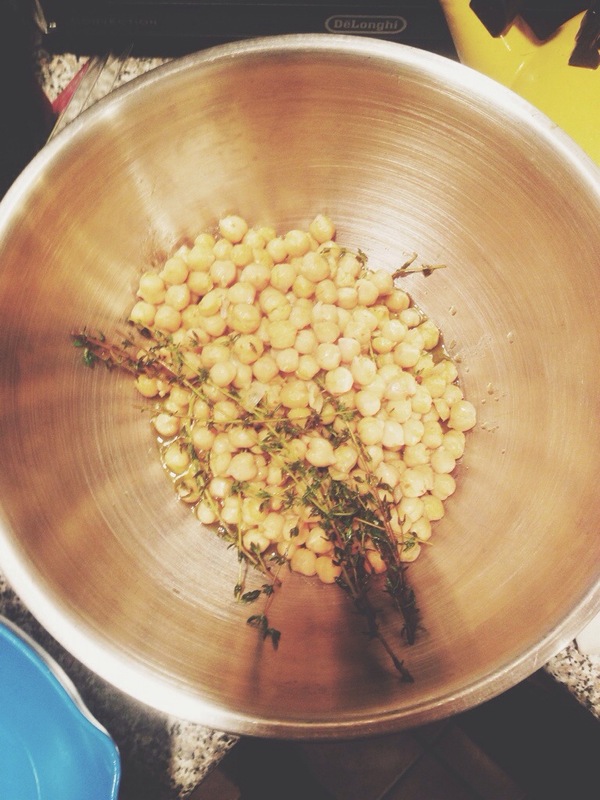 I added way more thyme than the recipe called for because I usually want way more herbs in recipes. 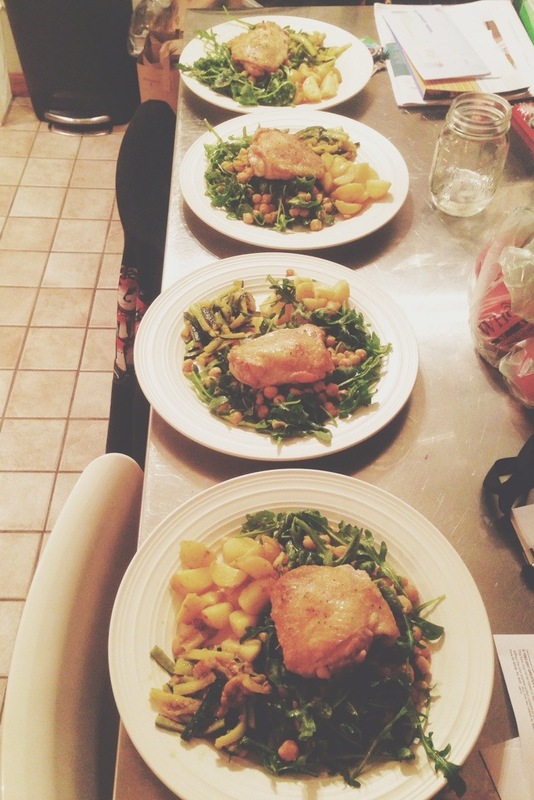 This entry was posted in weekend, weeknight and tagged arugula, chicken, chicken thighs, chickpeas, potatoes, zucchini. Bookmark the permalink.